The Government of Dominica is committed to develop the tourism industry. We are one of the leading eco-tourism destinations in the Caribbean and the world with an abundance of untouched nature, secret beaches, and welcoming locals transferring you immediately to another world. 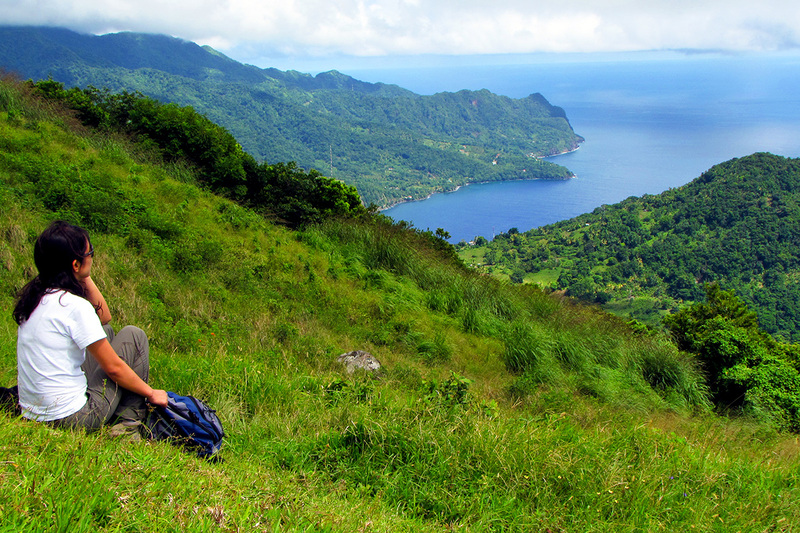 Along every trail across the island of Dominica you can discover nature tinged with a touch of adventure and an astonishing purity and variety of landscapes. From deep gorges, valleys and dense mountain rainforest to volcanoes, rushing streams and rivers; from natural springs and bubbling mud baths to cascading waterfalls and a vast array of flora and fauna. One such trail is the Waitikubuli National Trail, which is becoming a premiere attraction to trail lovers. It is the Caribbean’s first long distance trail and passes through the Carib (Kalinago) Territory home to indigenous peoples and a UNESCO World Heritage Site, and the Morne Trois Pitons National Park with the world’s second largest Boiling Lake. The trail highlights island history, culture and community life, biological diversity, natural beauty, watersheds and forest conservation and continues to serve as a ‘living classroom’ for educational purposes and a form of wellness for both residents and visitors. And you don’t have to abandon your creature comforts or damage the environment when you enjoy the trail which is designed to amaze you. We are in a prime position to capitalize on producing unique tourism products based on culture and heritage, environmental preservation and appreciation, as well as health, education and sports tourism. The Cabrits Resort Kempinski, Dominica is the first Government-approved real estate project under the Dominica Citizenship by Investment Program. The Cabrits Resort Kempinski will be a 101 room hotel built on a beautiful beach on Douglas Bay in Cabrits in the North East of the island, close to the town of Portsmouth. The Cabrits Resort Kempinski has been designed to strike a natural balance between the land and the sea, while ensuring a modern contemporary guest experience. It is difficult to leave Dominica without falling in love with the island.